Free Screening of "For Love of Liberty: The Story of America's Black Patriots"
Fliers of a P-51 Mustang Group of the 15th Air Force in Italy "shoot the breeze" in the shadow of one of the Mustangs they fly. August 1944. Join WXXI in celebrating Black History Month by attending this free screening. In honor of Black History Month, WXXI will present a free screening of For Love of Liberty: The Story of America's Black Patriots on Saturday, February 13 and Saturday, February 20 from 1 p.m. to 4 p.m. at WXXI's Studios, 280 State Street, Rochester, NY 14614. The two-part series examines how African-Americans risked their lives in defense of America, in the dual effort of preserving freedom for their country, while also attempting to acquire it for themselves. Each film will be presented by a special guest from the Rochester community, and the screening will be followed by a Q&A session. For more information, contact Shelley Figueroa at 585-258-0278, or email at sfigueroa@wxxi.org. This film series is sponsored by: WXXI, Pothos Productions, Operation Higher Learning, Freedom Trail Commission, USA Youth Soccer Academy, WHTK-1280 "What's Going on with Brown & Allen", The Community Place of Greater Rochester, and Minority Telecommunications, LLC. Five years before the Revolution, Boston citizens confronted a squad of English soldiers. A black man took control of the protest and challenged the Redcoats. The British raised their weapons and fired. In that one volley, Crispus Attucks, an escaped slave, became the first man to give his life for a cause that would become the American Revolution. Years later, Thomas Jefferson immortalized his sacrifice when he wrote; "The blood of Attucks nourished the tree of liberty…"
From those early struggles to our current battles against global terrorism, African-Americans have risked their lives in defense of this nation in the dual effort to preserve freedom for their country while attempting to acquire it for themselves. Their long struggle has been as painful as it was heroic – their sacrifices profound and their enormous contributions largely ignored. 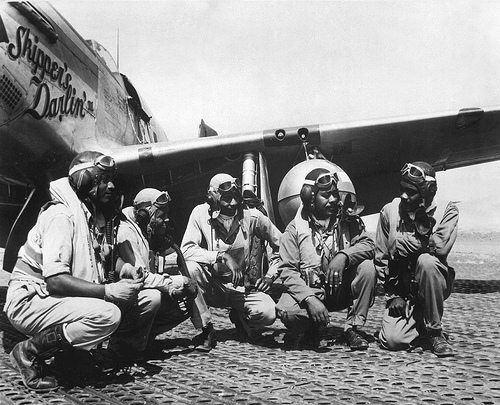 For Love of Liberty: The Story of America’s Black Patriots will finally, and for all time, set the record straight. At the center of this multi-faceted initiative is a four-hour, High Definition, two-part documentary television series Executive Produced by Louis Gossett Jr., introduced by Colin Powell and hosted on-camera by Halle Berry. Ten years in the making, the film uses letters, diaries, speeches, journalistic accounts, historical text and military records to document and acknowledge the sacrifices and accomplishments of African-American service men and women since the earliest days of the republic. The story spans the Revolution to the Inauguration of Barack Obama and examines why, despite enormous injustice, these heroic men and women fought so valiantly for freedoms they themselves did not enjoy. The project's goal is to raise public consciousness and shed light on an extraordinary and relatively unexplored aspect of our nation's history. The central theme of the initiative, the price of liberty, is relevant to all Americans.